Leave nothing to factory spec and put final touch on your custom interior. 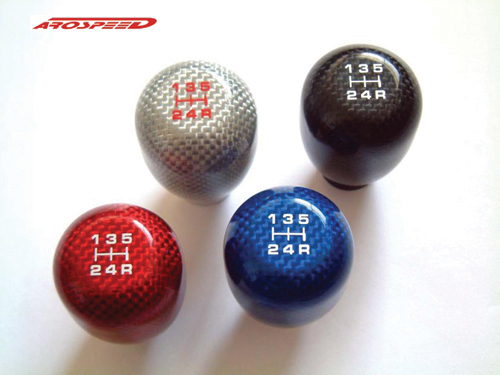 The Arospeed Type R style carbon shift knob adds the aggressive design to your car. The shift knob is made from solid metal (and wrapped in real carbon fiber) and then threaded for universal fit utilizing adopters. This enhances the interior the visual appeal of your car without a doubt.